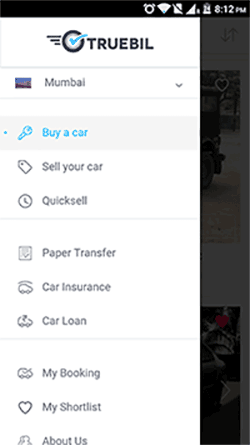 Truebil, an online marketplace for used vehicles, has raised $5.15M (Rs 35 crore) in Series A funding from Kalaari Capital, Inventus Capital and San Francisco-based Tekton Ventures, besides existing investor Kae Capital. The Mumbai-based startup, run by Paix Technology Pvt Ltd, will use the money secured to expand operations into Delhi, Bangalore, Chennai and Hyderabad. It will also deploy the funds to strengthen its product and technology platform, Truebil co-founder Suraj Kalwani told Techcircle.in. “We plan to launch a car recommendation platform where users can fill their basic requirements and we will suggest cars that suit their needs,” Kalwani said. Truebil was founded in March 2015 by former Housing.com employees Kalwani, Ravi Chirania, Shubh Bansal, Rakesh Raman and Shanu Vivek along with former Fab.com executive Ritesh Pandey and ex-Rio Tinto official Himanshu Singhal. The startup operates a virtual marketplace for pre-owned cars. It vets used cars, prepares inspection reports and uploads photographs of dents/scratches so that buyers can shortlist their preferred automobiles for purchase. Last year, Truebil had raised $500,000 (RS 3.17 crore) in its first round of funding from seed stage VC fund Kae Capital and angel investor Anupam Mittal. It competes with well-entrenched online players such as CarDekho (and its separate site Gaadi.com) and CarTrade besides a bunch of newer startups such as Zoomo, Droom and CredR. Horizontal P2P platforms such as OLX and Quikr could also be counted among Truebil’s competitors. Earlier this month, automobile classifieds portal CarTrade.com said it has secured $145 million (Rs 950 crore) from Singapore state investment firm Temasek Holdings, US-based March Capital and existing investor Warburg Pincus. Mumbai-based Incredible Technologies Pvt Ltd, which runs a used vehicles marketplace under CredR, had raised $15 million (Rs 100 crore) in Series A round of funding from Eight Roads Ventures (earlier Fidelity Growth Partners India) four months ago. Droom Technology Pvt. Ltd, which runs online marketplace for pre-owned automobiles Droom.in, raised Series A investment from Lightbox and Japanese e-commerce firm Beenos in July.